In Hoi An, Cooking classes have become very popular since a couple of months. Very rare to come across a restaurant that doesn’t offer it. But like any trend, there are good and bad cooking classes and the level of English spoken is often not up to scratch which doesn’t help in learning. Some have been around for a long time and have become the landmarks in cooking classes. Others are new but offer good value for money classes. Count around 15 euros ( approximately 450.000 Vnd ) for this cooking class in the middle of the vegetable village of Tra Que. Good advises and the classes are very personal, by this I mean that you are not stuck with a group of 20 strangers, you will learn a lot more and the English spoken there is excellent. This cooking class is located in the old town. Count around 16 euros (approximately 460,000 vnd) for 3 dishes. 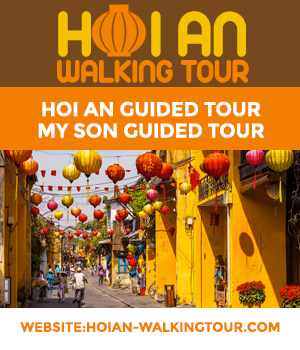 Just like Baby Mustard, you will head to the local market of Hoi An, The class is in English and there is a great vibe. It’s a bit more than a cooking class as you will also take the boat to visit the locals and there will be activities around the cooking classes. Visit of the market is optional. Count around 22 euros (approximately 630,000 vnd) à Hoi An. If you any other venues that are worth mentioning, do not hesitate to share them with us by leaving a comment. We will be happy to try them out and maybe add them to the list.